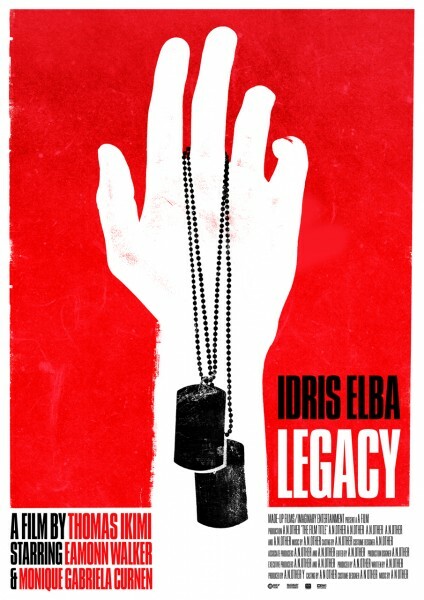 British thriller Legacy was written and directed by Nigerian-English filmmaker Thomas Ikimi. Elba (The Wire, Ultraviolet, Thor) not only stars in the film, which concerns a Black Ops soldier suffering a mental breakdown and attempting to piece his life back together after returning from a botched mission in Eastern Europe, but he has also executive produced it. The Glasgow Film Festival is next month. Unfortunately I can’t make it, but Live For Films intrepid reviewer, Richard Bodsworth can. Here is what he has to share about it. The sixth Glasgow Film Festival is set to light up screens in February bringing a host of premieres, unique events and special guests to the city. 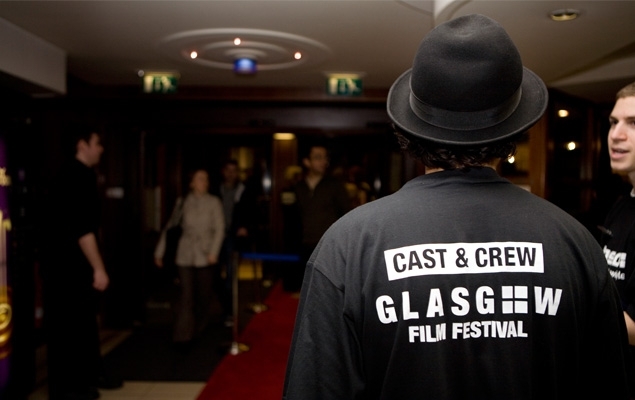 Building on the record-breaking success of the 2009 Festival, the 2010 edition runs from February 18 – 28th and will screen more than 120 features across eighteen locations including host venue the Glasgow Film Theatre and three screens at the Cineworld. The Festival opens on Thursday February 18th with a gala screening of Micmacs, the latest delight from Amélie director Jean-Pierre Jeunet starring France’s hottest comedy talent Danny Boon. A hilarious tale of outrageous injustice and ingenious revenge, it features a star-studded cast of French greats that includes Andre Dussolier, Yolande Moreau, Dominique Pinon and Jean-Pierre Marielle. The Festival closes on Sunday 28th with the world premiere of Legacy, a taut psychological thriller from Glasgow company Black Camel Pictures and writer/director Thomas Ikimi. 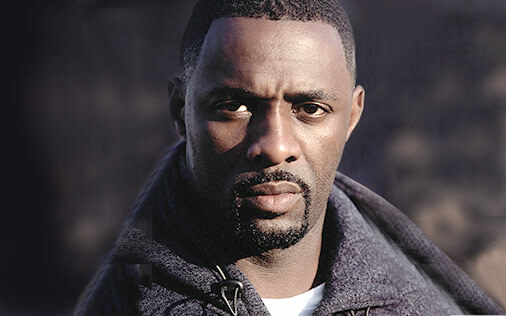 The Wire star, Idris Elba, is the lead actor and executive producer of an ambitious production in which a veteran soldier broods on the guilty legacy of his past actions and the one possibility of his future redemption. The cast includes Clarke Peters and Eamonn Walker. Funded by Glasgow City Marketing Bureau, Scottish Screen and the Glasgow Film Theatre, the full Festival programme is filled with big name stars in must-see films. 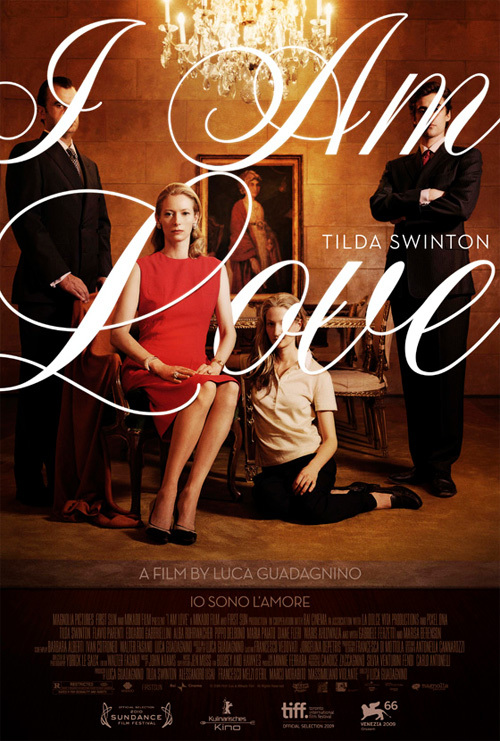 Scottish Oscar-winner, Tilda Swinton, plays a stylish, enigmatic matriarch in the UK premiere of I Am Love, one of the most critically acclaimed films of the past year. Nicolas Cage gives an unforgettable performance in Werner Herzog’s Bad Lieutenant: Port of Call New Orleans. Shirley Henderson and Charlotte Rampling lead a stellar ensemble in Todd Solondz’s Life During Wartime. Robert De Niro heads an all-star cast in Kirk Jones Everybody’s Fine. Maggie Smith and Dominic West appear in Julian Fellowes’ From Time To Time. Pierce Brosnan and Susan Sarandon star in The Greatest. Til Schweiger returns in the international premiere of Rabbit Without Ears 2 and Drew Barrymore turns director for the rollerskating romp Whip It! The Festival continues its widely applauded tradition of honouring a major Hollywood star each year with a 2010 retrospective devoted to the career of Cary Grant. The debonair star remains the gold standard for impeccable comic timing and tender-hearted romances and the Festival will screen a selection of his finest films including Bringing Up Baby (1938), Notorious (1946), An Affair To Remember (1957) and North By Northwest (1959). FrightFest highlights include the world premiere of 2001 Maniacs: Field Of Screams, the eagerly-awaited (REC) 2, 1970s shocker A Lizard In A Woman’s Skin and the UK premiere of Splice introduced by director Vincenzo Natali. The Festival is also set to welcome a record number of guests to the city including the legendary James Earl Jones who will discuss a career in film that stretches from Stanley Kubrick’s Dr. Strangelove (1963) to Field Of Dreams (1989) and includes such landmark films as Conan The Barbarian (1981), Coming To America (1988), The Hunt For Red October (1990), his towering Oscar-nominated performance in The Great White Hope (1970) and his contribution to the Star Wars series as the voice of Darth Vader. A wide-range of masterclasses and special events will also include appearance from Oscar-winning Scottish director Kevin Macdonald and Peter Mullan who holds a unique position in world cinema as the Cannes Best Actor winner for My Name Is Joe (1998) and the Venice Golden Lion recipient for The Magdalene Sisters (2002). There is a pretty impressive line up here, the prospect of FrightFest weekend is particularly exciting and I hope to attend Mark Millar’s scheduled In Person show. With a lot of big shows and big names attending you can expect tickets to go fast so book now. Money saving deals are available online if you wish to buy in bulk. Tickets are available through the official film festival website www.glasgowfilmfestival.org.uk, in person at the box office and by calling +44 (0)141 332 6535. FrightFest weekend passes which include all 8 films (Frozen, 2001 Maniacs: Fields of Screams, Stag Night, A Lizard in A Woman’s Skin, Amer (Bitter), [REC] 2, Splice and Reykjavik Whale Watching Massacre) are available priced at £40. You can also purchase individual days or individual screenings. Marvel Studios has commenced principal photography on the highly anticipated feature film THOR directed by Kenneth Branagh. In THOR, Chris Hemsworth (Star Trek) portrays the title character with Tom Hiddleston (Wallender) in the role of Thor’s brother Loki, and Natalie Portman (Leon, Star Wars, V for Vendetta, Brothers) as Jane Foster. Additionally, the studio has cast Academy Award winning actor Anthony Hopkins (Silence of the Lambs) as Odin, Rene Russo (Lethal Weapon 3, The Thomas Crown Affair) as Frigga, Ray Stevenson (Punisher War Zone) as Volstagg, Tadanobu Asano (Mongul) as Hogun, Josh Dallas as Fandral, Jaimie Alexander as Sif, Idris Elba (The Losers) as Heimdall, as well as Colm Feore, Kat Dennings and award-winning actor Stellan Skarsgård. The film is slated for release in theatres domestically on May 6, 2011 via Paramount Pictures which will also release the film on a worldwide basis. Idris Elba is a busy, busy man. 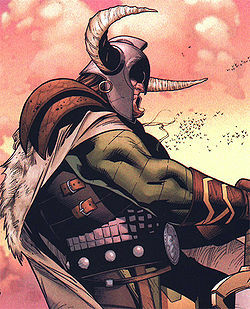 He’s got Takers and The Losers coming up, plus he has been cast as Heimdell in the new Thor film. However, he also stars in Legacy and is also the film’s executive producer. 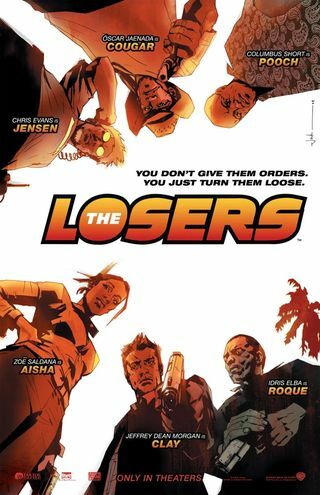 Written and directed by filmmaker Thomas Ikimi, Legacy co-stars Eamonn Walker (Lord of War), Monique Gabriela Curnen (The Dark Knight), Richard Brake (Batman Begins), and Clarke Peters (The Wire). 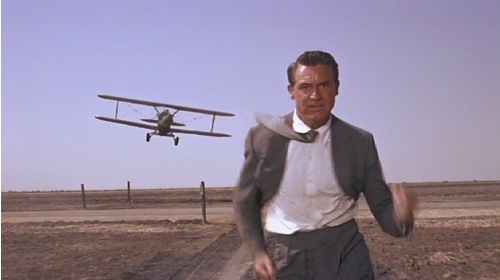 Described as a Hitchcockian style psychological thriller with action elements similar to Paul Greengrass’ Bourne films, the plot of Legacy centers on AWOL special forces operative Malcolm Gray (Elba) as he attempts to hide out in New York following an inexplicably failed mission in Eastern Europe. HeyUGuys had the info and they also have a couple more cool posters. I really like the posters for this and it sounds like a great film. Idris Elba is cool. That’s all you need to know. He was the ex-SAS bloke in the UK show Ultraviolet that saw him taking down Vampires, or leeches as he called them. Stateside you will know him mainly from The Wire. Plus he got to snog Beyonce in Obsessed. He is currently working on The Losers which is an adaption of the excellent DC Comic about special forces types on the run. It looks as if he is on a comic book roll as Heat Vision have the news he has been cast in Marvel Studio’s Thor movie – not as a human character, but as the Asgardian known as Heimdall. In the comic Heimdall is the brother of the warrior Sif. He is the all-seeing and all-hearing guardian sentry of Asgard, he stands on the rainbow bridge, Bifrost and stands watch for any attacks to Asgard. For ages, he stood as the guardian of Asgard, defending the city’s gates from any intruders, and was one of the most trusted servants of Odin. 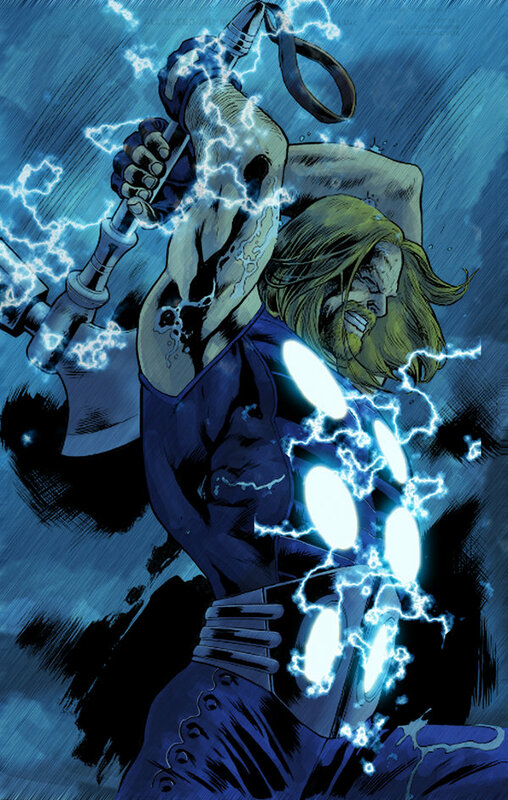 He has also had a few battles with Thor in the comics either stopping him entering or leaving Asgard so I could well imagine we’ll see something like that in the film. The movie follows Thor (Chris Hemsworth) a Norse God banished to Earth for his arrogance and reckless behavior in the Asgard, the capital city of the Norse Gods. On Earth, he falls in love with a nurse named Jane Foster (Natalie Portman), but must become a true hero when his sinister brother Loki (Tom Hiddleston) brings the darkest forces of Asgard to wreak destruction on humanity. Directed by Kenneth Branagh (Hamlet), the film co-stars Anthony Hopkins, Stellan Skarsgård, Dominic Cooper, Jaimie Alexander, Colm Feore, Stuart Townsend, Ray Stevenson, and Tadanobu Asano. It is shaping up to be an amazing cast.